Superior comfort at the best price. Parking, satellite TV, internet, air condition, 15 minutes from downtown! A clean and comfortable apartment decorated in gray and white tones, fully equipped with all the necessary amenities for a pleasant stay. 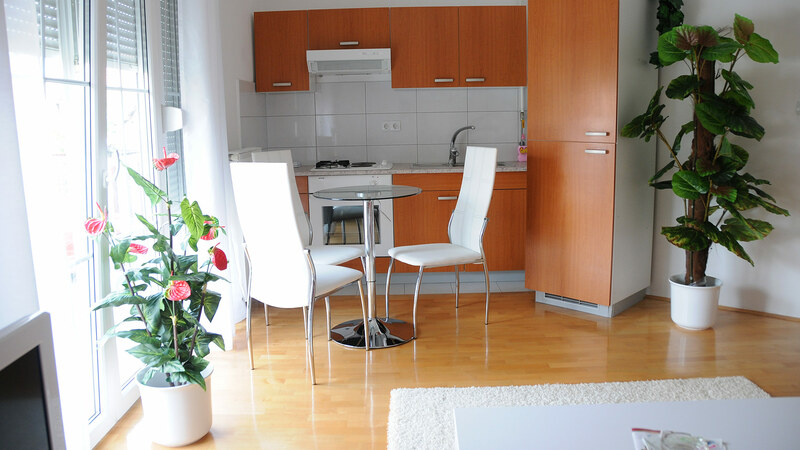 Clean and nicely decorated apartment decorated in red and orange tones, equipped with all the necessary amenities. We are looking forward to your arrival. Stylish and comfortable apartment decorated in gray and white tones, equipped with all the necessary amenities for 4 adults and two extra beds for children. 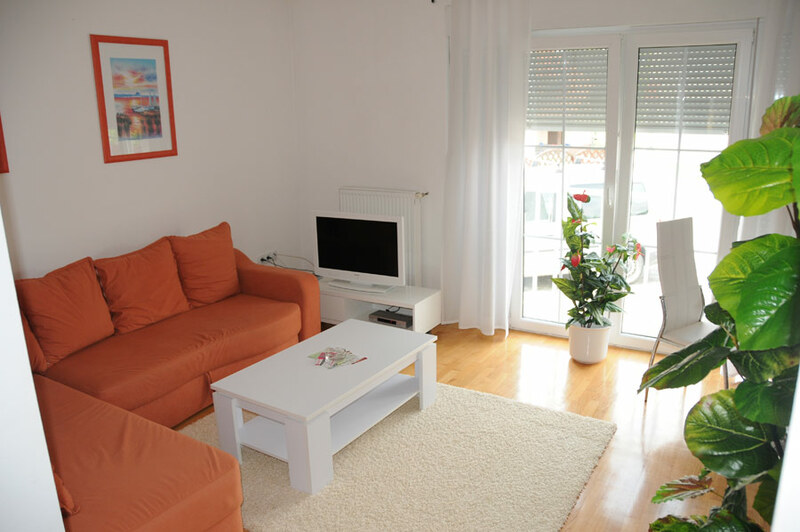 A bright and comfortable apartment decorated in white and orange tones, equipped with all the necessary amenities. Feel the comfort of your own home. 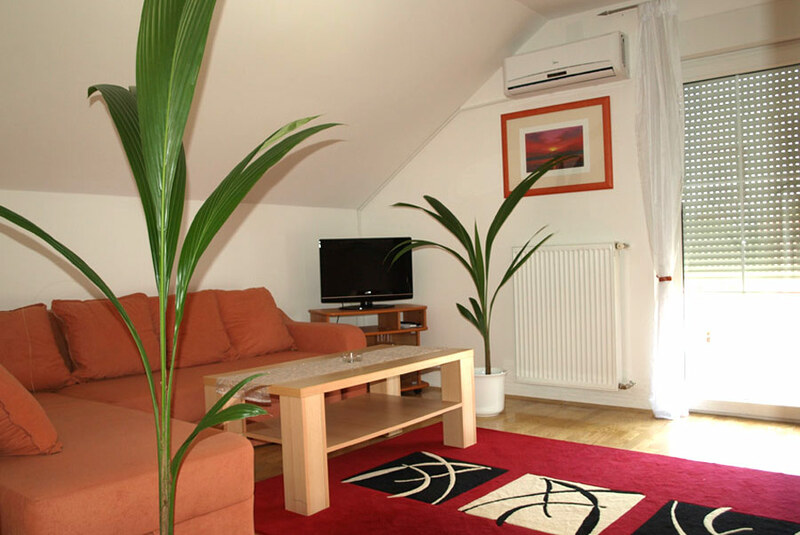 We offer ideal private accommodation for tourists and business associates in the city of Zagreb, in a peaceful part of the city surrounded by greenery and only 10-15 minutes from the very center of Zagreb. 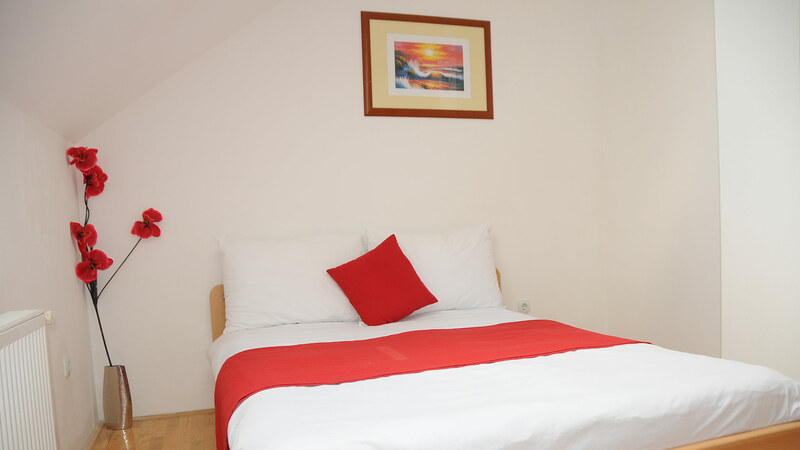 The apartments are newly furbished, modernly equipped and impeccably clean, and they will offer you excellent comfort, rest and the feeling of homeliness. Aside from the prices which are significantly lower than those in hotels, our apartments offer a number of additional perks such as transportation to bus and railway stations, and we can make arrangements for transportation to Pleso airport. The apartments are thoroughly cleaned once a week. Smoking is allowed, as is holding pets if previously agreed upon. There are many points of interest in the close proximity of the apartments like the shopping centers City Centar One, Garden Mall, Bauhaus and Kaufland. You can also visit the Zoo or take a stroll through the famous Maksimir Park. If you like sports, the soccer stadium Maksimir, is just around the corner. Well known Zagreb hospitals and clinics such as KBC Rebro, KBC Dubrava, KBC Zagreb in Petrova Ulica and Merkur Hospital are also close at hand. If you crave for a good meal, there are many famous restaurants and diners in the vicinity, as well as markets where you can buy fresh groceries. In our apartments, you're guaranteed complete privacy and discretion. All our apartments are security doors.